Where does the time go? 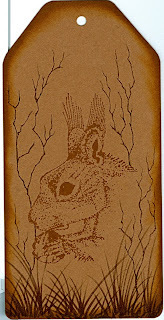 This week we have made it all the way to S. For my S I have made a Squirrel tag. This week Fifi has made a beautiful Gothic Arch using my very own design Sunflower stamp., and some of my Swirl stamps. 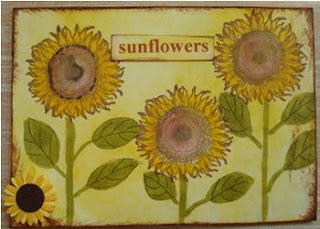 And Lesley's wonderful ATC set continues with this lovely Sunflower ATC. 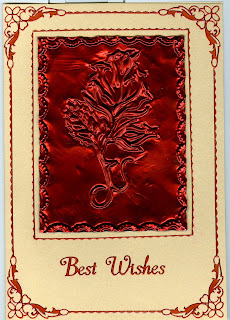 And yet another week has shot by, and we find ourselves at R. I have used one of my stamps as a design to hand emboss a Rose onto a metal sheet for this card, so my R is for Rose. Fifi has used the same stamp to make this lovely Rose tag. 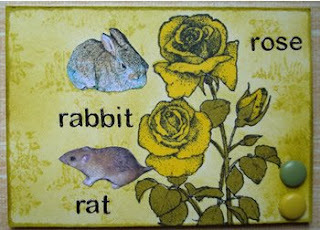 And Lesley has made another beautiful ATC for her nature set, a multiple R, this one, featuring a Rose, a Rabbit and a Rat. And yet another week has passed and we are now on Q ! 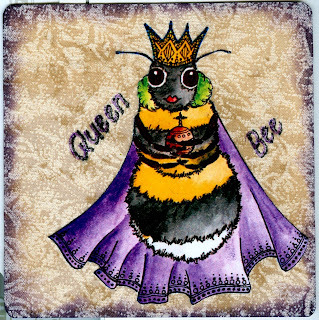 For this week I have made a fat book page for which I have drawn a Queen bee! 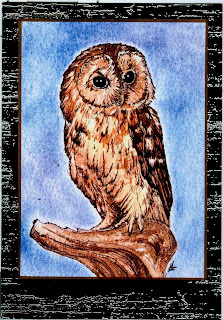 She has been coloured using watercolour crayons. Fifi has also made a lovely Fat book page, featuring a Queen! For this she has used one of the stamps from my Teddy plate. 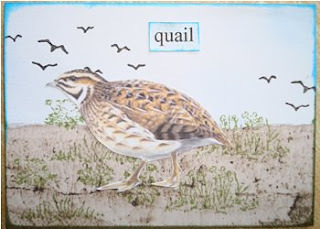 Lesley is continuing her lovely Nature ATC set with this lovely Quail. Now looking forward to seeing all your lovely entries. 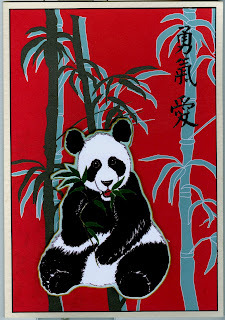 Another week has flown by, and we are now on P. For my card this week I have used a panda image that I drew awhile ago, with some lovely oriental papers and finished off with an oriental text peel off. This week Fifi has also used a panda, (one of my stamps), to make her lovely skinny. 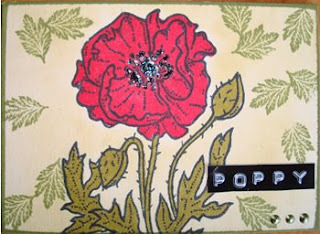 And Lesley has made another of her stunning nature ATCs, this week it is a poppy. And Fifi's ATC features O for Ornament. 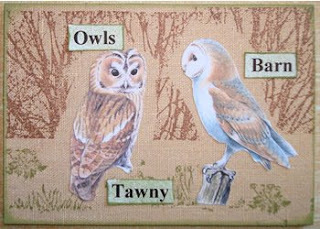 And Lesley's nature ATC, also features Owls.